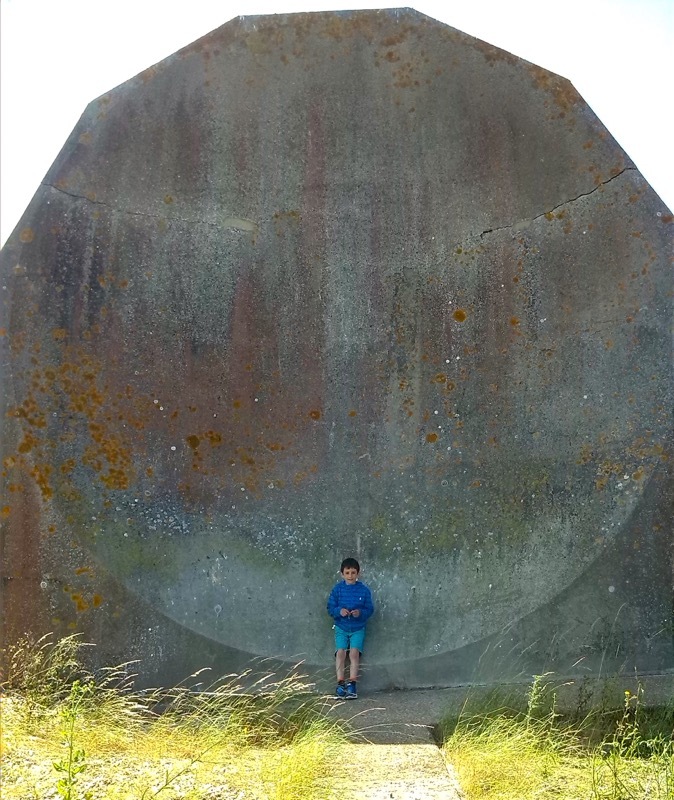 The Sound Mirrors of Lade. Three concrete structures built between 1928 and 1930 which formed an experimental acoustic early warning system, designed to detect incoming aircraft. If only to find out what the heck a sound mirror is! This is one of only two sites where examples of all three designs of sound mirrors (sometimes called acoustic mirrors) can be found. 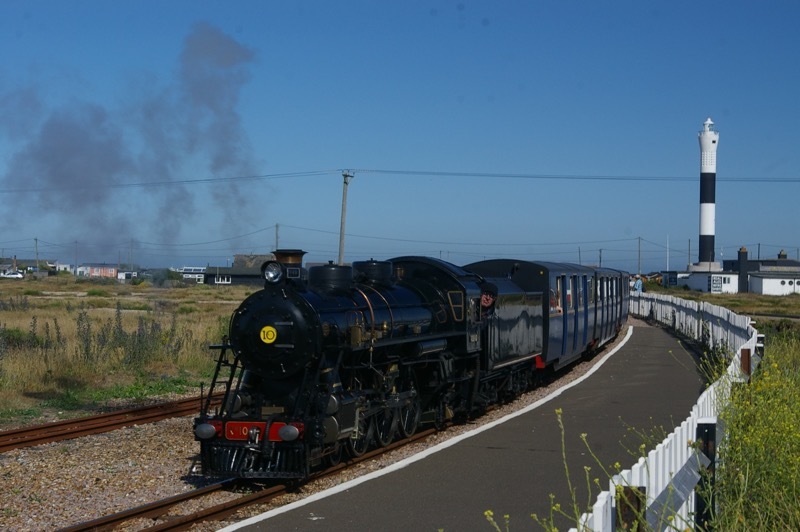 The site is three miles from Dungeness, a bizarre place well worth visiting in itself; classified as Britain’s only desert, home to a nuclear power station, a nature reserve, two lighthouses and a miniature steam railway. How’s that for an eclectic day out? Situated in Lade/Greatstone, near Dungeness, Kent, South East England. Map. 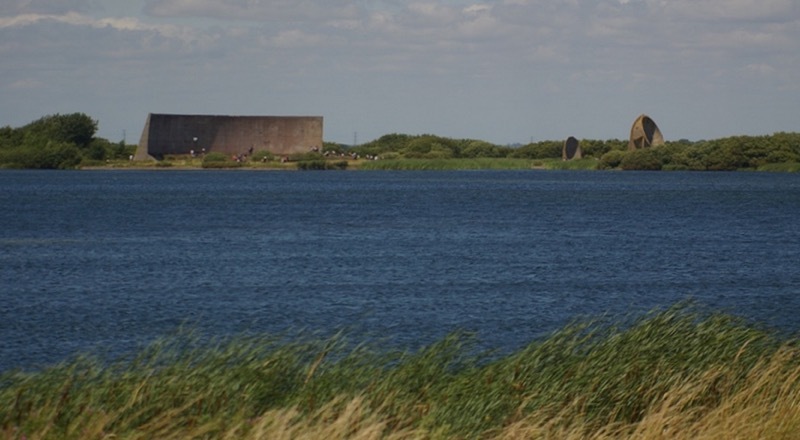 FROM A DISTANCE the sound mirrors look like a science fiction version of Stonehenge. They are turned towards the skies as if poised to hear alien communication from other planets. Their far more terrestrial purpose (listening for incoming aircraft noise) was a rather brief experiment in early radar. They were manned at different times by civilian scientists and Air Force personnel, who would stand in front of/underneath the mirrors and use sound collecting equipment to get bearings on the direction that planes were coming from. It was hoped that they would work as an early warning system for enemy aircraft in the event of an airborne strike. Indeed, these mirrors could detect aircraft approaching from 24 miles away. However, the increasing speed of aircraft, noise of urban development and more effective modern radar systems led to an early retirement for the structures. They now preside over the shingle landscape and flooded gravel pits like brutalist giants. 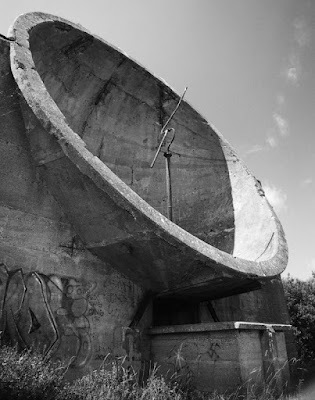 Once a year access is granted to the island that the sound mirrors stand on, enabling people to walk among these concrete old men. 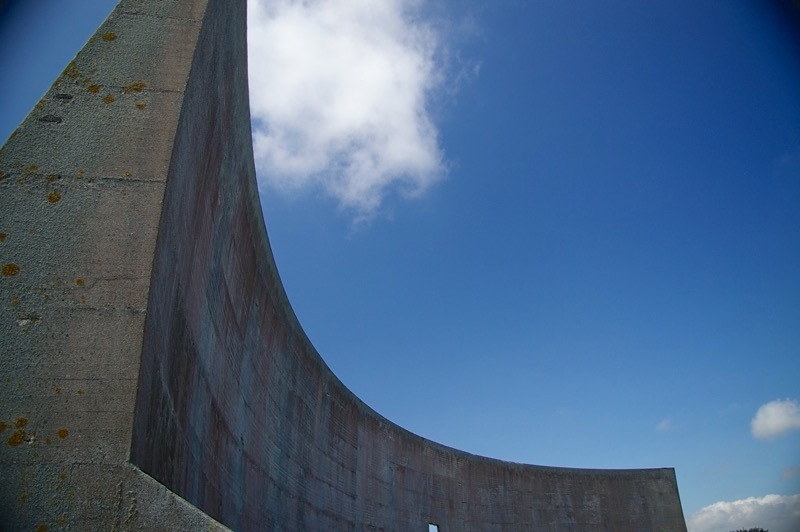 The largest sound mirror is 200 feet (61m) long and from a distance we could see people reduced to Lilliputian size by its vastness. Up close the ‘ears’ are gritty and awesome. My favourite was that big one; long and curved, actually a segment of a huge sphere. It reminded me of the monolith from 2001 A Space Odyssey. Standing at one end, your partner at the other, you can hear each other talk as clearly as if you were standing next to each other. Like a listening wall, rather than a wailing wall. Pretty cool. The 30 foot (9.1m) concave dish mirror stands like the stubborn grandfather of our modern satellite dishes. Solid, strong and imposing, it is the mirror that most resembles what you would expect a listening ear or sound mirror to look like. You can even climb inside and imagine you are one of the early radar pioneers, listening for the enemy. Or simply peruse the graffiti! 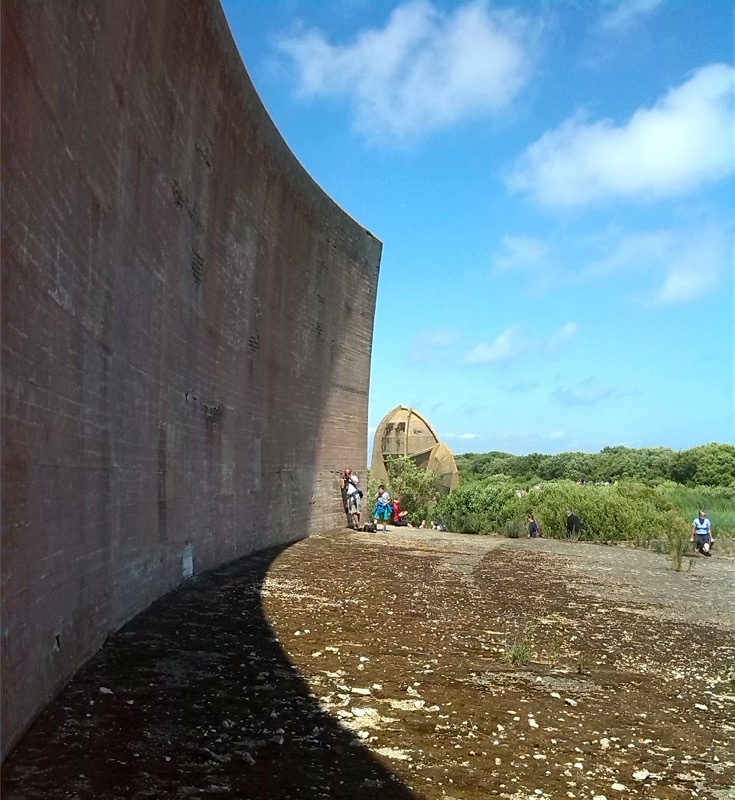 The 20 foot (6m) mirror is the plainest and the first incarnation of the acoustic mirrors. It was pre-cast as one huge piece of curved concrete. Like a giant, smooth scallop shell, it’s the runt of the concrete litter, and was soon dismissed in favour of its bigger brothers. 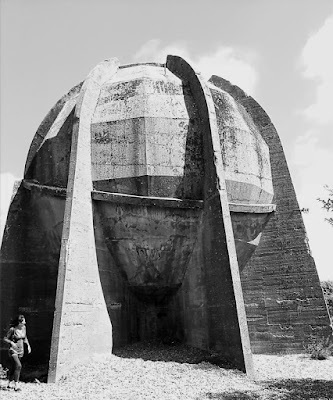 Acoustic mirrors were built in various locations around the coast of Britain with many of them on the South East coast. Only one mirror was built outside Britain – known simply as ‘the ear’ it was built in Malta. Almost by the time they were built, their effectiveness was found to be lacking as modern radar was invented in 1935. But the mirrors in Lade are a great place to wander around, soaking up the view and marveling at the sheer scale of the things. It has the feel of a huge modern art installation with the added bonus of being surrounded by lakes, birds, shingle and sea. When we visited in July 2015, it was the last open day before the land that the mirrors stand on was sold to the wildlife charity RSPB. It may be worth checking out the RSPB website before planning a visit if you want to get up close. But even seen from the near distance these big ‘ears’ are worth the trip, as is the local area, which is a truly bizarre place. Driving through nearby Dungeness is like a taking a weird and wonderful road trip; you almost think you’ve left Britain and entered the barren hinterlands of the USA. It’s hard to describe this place as it’s one of the weirdest places I have been to in Britain. From the old lighthouse framed by the nuclear power station to the silver American airstream trailers parked outside ancient railway carriages converted into cottages, you find yourself lost for words. It is a bleak place by the sea but is rich in rare flora and fauna. You see several helpful information panels dotted around telling you about the local wildlife ……….and preparing you for nuclear siren practice drills. There are art shacks, fishing boats and the film director Derek Jarman’s famous cottage and garden. You can even get a tour of the power station if that’s your thing. The Romney, Hythe and Dymchurch steam powered miniature railway follows the coast for 22km, starts in Hythe terminates in Dungeness; it’s great fun for young and old alike. But if you come by this route, just be sure you know what time the last train leaves! The end of the line...literally! 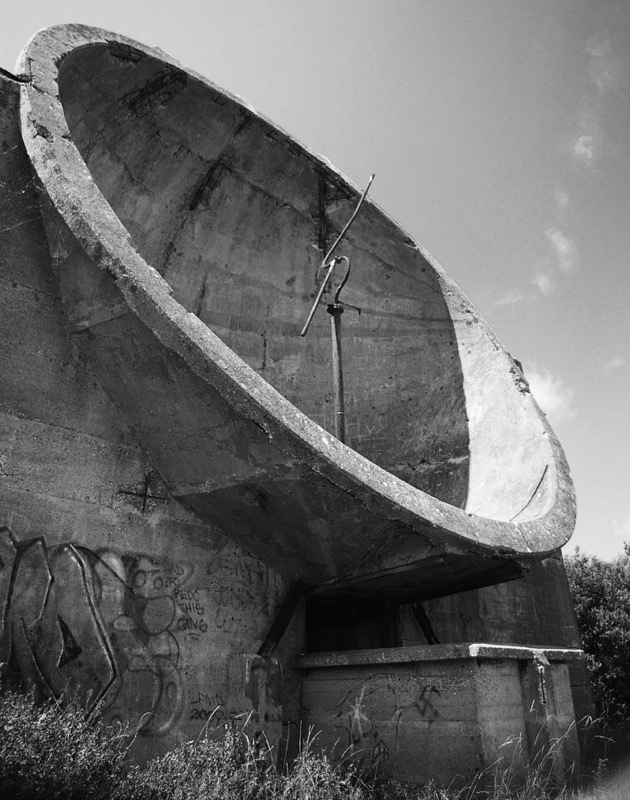 For access to the sound mirrors check out the directions of this website. We drove and parked in the free Lade car park off Coast Drive, but the railway can be caught at various stations along the coast. Checkout their website for details. Hythe is a two hour drive from London or 1 and a half hours by train from London Bridge train station. Vicky Turner was born and raised in West Yorkshire in the UK but has gradually been moving South (via the East Coast of the USA) for the last fourteen years. She currently explores in Kent.